Diana is the founder of the Ectodermal Dysplasia Society and has worked on a full time voluntary basis since 1996. She is married to Ian and has 5 children, two of which are affected by Ectodermal Dysplasia. 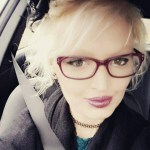 Diana has considerable experience of Ectodermal Dysplasia and her many duties include; attending conferences; making presentations to medical professionals, medical students, etc. ; co-chairing the International Ectodermal Dysplasia Leaders meetings and conferences helping our Ectodermal Dysplasia communities around the world; attending school meetings and tribunals for Disability Living Allowance or Personal Independent Payment; proof reading patient information leaflets for the British Association of Dermatology; assisting with research projects into the many aspects of Ectodermal Dysplasia; liaising with families and individuals; writing articles for our monthly mailing, medical journals, information leaflets and the content of the ED Society website; liaising with medical professionals on behalf of the ED Society members; attending Trustee and Medical Advisory Board meetings. Sue has been with the Society since 2003. She has two children and previously worked as a Legal Accountant for a large firm of Solicitors. She has over 30 years accounts and IT experience. 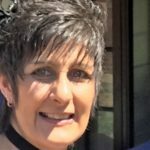 Sue is the Office Manager and deals primarily with the financial and oraganisational side of the Society; IT; management of the UK and International websites and the UK ED Society Support Fund. 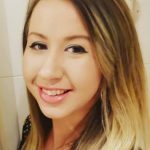 Danielle joined the Society in 2015, She previously worked in an accounts team at a hotel and had no previous knowledge of Ectodermal Dysplasia. She has 2 children. Danielle is responsible for keeping our social media platforms current; building and updating our website; producing our email newsletters; corresponding with our families and carrying out other general office duties. Jaye previously worked as a beauty therapist and joined the Society in 2017. Jaye has Ectodermal Dysplasia herself and has a son. Jaye is responsible for corresponding with our families; managing the Society’s database; monitoring Facebook; assisting families with letters of support and other general administration duties.